As many as 11 states may not have enough healthcare professionals that can legally prescribe a key medication-assisted treatment for opioid addiction patients, which may hurt those states' ability to curb the impact of the opioid epidemic, according to a new study. States with some of the highest mortality rates from opioids, such as Ohio and West Virginia, had some of the lowest rates of buprenorphine prescribers, according to research released this week by health consulting firm Avalere Health. Ohio had more than 1,200 providers eligible to prescribe buprenorphine in 2016 but had more than 3,500 opioid-related deaths that year for a ratio of 0.38 providers per opioid-related overdose death. By comparison California, which had the fifth highest number of opioid-related deaths in 2016, at 2,002, had more than 2,600 buprenorphine prescribers for a ratio of 1.33 providers per opioid death, the highest in the country. "For individuals who are struggling with opioid dependence, buprenorphine can be a critical step in their road to recovery," said Caroline Pearson, senior vice president at Avalere in a written statement. "Extending prescribing privileges to nurse practitioners and physician assistants can facilitate access to this evidence-based treatment." Iowa, Illinois, Maryland, Michigan, Missouri, North Carolina, New Hampshire, Ohio, Virginia, Wisconsin, West Virginia and D.C. were all well below the national average rate 0.6 buprenorphine prescribers per opioid death in 2016. Federal regulations have limited access to buprenorphine, which was approved by the Food and Drug Administration in 2002 to treat opioid use disorder. Clinicians seeking to prescribe the drug must undergo specialized training first. Certified doctors were historically allowed to treat up to 30 patients at a time in their first year prescribing the drug. After that, they could apply to increase that limit to as many as 100 patients. But in 2016, the Substance Abuse and Mental Health Services Administration finalized a rule that increased the maximum limit on the number of patients a clinician could treat with buprenorphine from 100 to 275. In July 2016, President Barack Obama signed the Comprehensive Addiction and Recovery Act, which gave nurse practitioners and physician assistants the ability to seek a federal waiver to allow them to prescribe buprenorphine to up to 30 patients a year. But Avalere's research indicates a dearth of providers, particularly in the Midwest and Mid-Atlantic regions of the country. 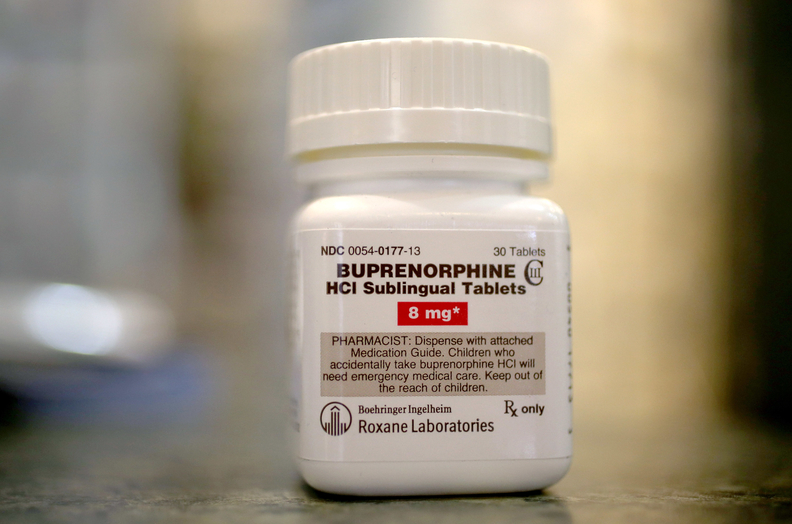 "Although more providers are now able to prescribe buprenorphine, there appears to be a shortage of prescribers in many states," said Clara Soh, a director at Avalere. "Evaluating ways to narrow this gap, including bringing state scope-of-practice laws into alignment with federal regulations, would enable policymakers to achieve their goal to expand access." Currently more than 46,000 clinicians in the U.S. are certified to prescribe buprenorphine, according to SAMHSA, the vast majority (72%) are authorized to prescribe the medication to as many as 30 patients. But many providers have expressed concerns about the traditionally low rates at which private payers, as well as Medicare and Medicare, reimburse clinicians who prescribe medication-assisted treatment, which they have felt created a major barrier toward expanding the number of available clinicians. Last week, the American Medical Association sent a letter to leading members of the Senate Finance Committee offering several steps Congress could take to address the opioid crisis, including making medication-assisted treatment a part of the seventh protected class of drugs under Medicare Part D and requiring all opioid disorder treatments be covered in plans. Other recommendations included Medicare and Medicaid support alternative payment models for opioid therapy, and suspending the waiver requirements for physicians providing buprenorphine under the Medicaid and Medicare programs.